You're adding a Twin XL Bed Topper and Mattress Pad to your dorm bedding to make your dorm bed more comfortable. Why not do the same to your dorm desk! Your dorm desk can be made a more comfortable place to work by adding a dorm desk pad like our Floating Balloons Desk Mat to your college supplies. 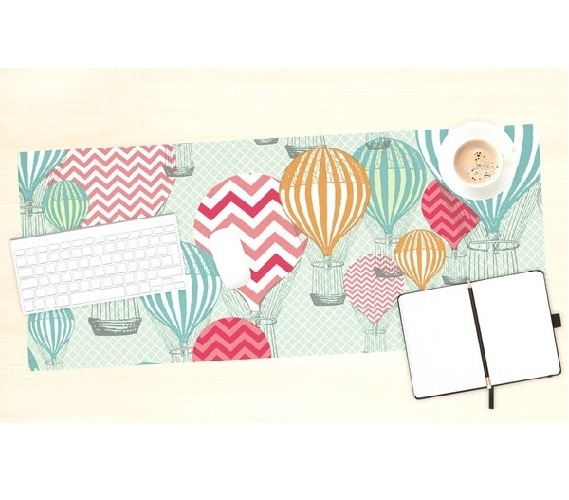 Our Floating Balloons Desk Mat is an extremely valuable addition to dorm essentials and it will make your dorm desk better through all of its purposes. First of all are the scratches on your dorm desk. Your dorm desk may have acquired scratches and dents throughout the years from previous college students. This dorm essentials product is an easy cover up for those scratches and dents and it also prevents new ones from happening. Our Floating Balloons Desk Mat is indent, scratch, and stain resistant so you can cover up the damage that was done previously while preventing yourself from adding to it. Made of soft non-skid neoprene, this dorm necessities product will provide a steady work surface for your college supplies, but most importantly it is going to provide cushioning. When you're writing so much in one day, your hand and arm can easily get tired. This dorm product will help reduce soreness by being a cushioned surface beneath your college notebook and making it a more comfortable place to work. The benefits of this dorm essentials product already sound great, but it gets even better when you consider that it adds to dorm room decor! This dorm room decorations product has a cute design that will make your dorm desk a more fun place to work. 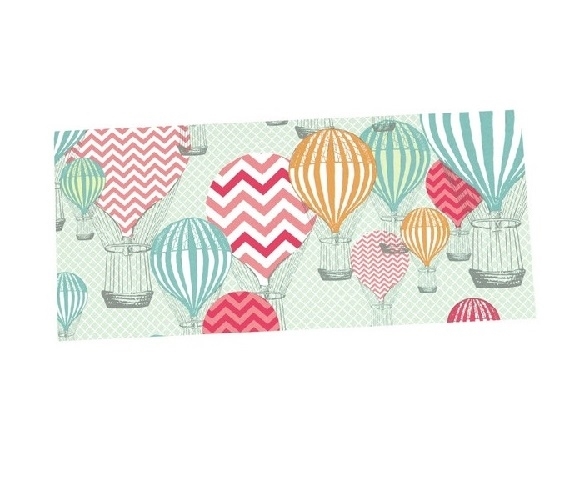 It features multi-patterned pink, orange, aqua, and white hot air balloons on a soft gray and white backdrop to make your college room decor pop with color and style!